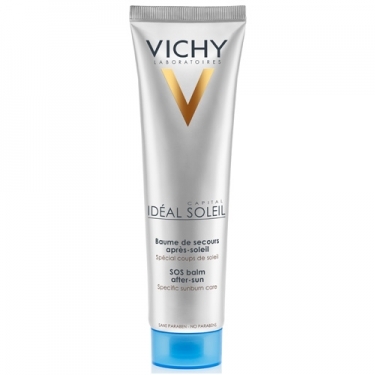 DESCRIPTION: Idéal Soleil Après Soleil Baume Secours from Vichy is a rescue balm for men and women with sensitive skin to the sun. Formulated with willow herb extract and bio assimilated lipid concentrates, relieves pain and heat sensationscaused by sunburn while offers intense hydration for 8h. Enriched with Vichy Thermal Spa Water known for its soothing, fortifying and regenerating properties. Tested under dermatological control on sensitive skin. Hypoallergenic and paraben free. Apply the balm on sensitive skin for comfort and hydration that soothes immediately.